California-based New Years Day formed in 2005, but really came into their own in 2013 with their Century Media debut Victim To Villain, followed the release of the Epidemic EP. They have proven their abilities with dynamic live performances supporting Halestorm, Motionless In White and The Birthday Massacre, and are kicking off 2018 touring with In This Moment, P.O.D and Ded. 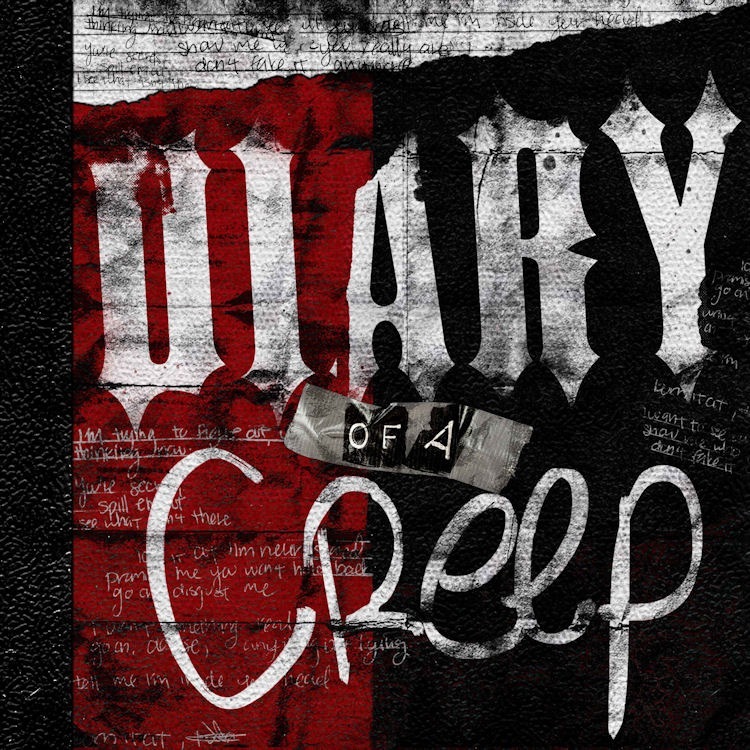 New Years Day’s latest EP Diary Of A Creep contains one new original track and five covers paying tribute to the bands who helped shaped them as artists. The opening track Disgust Me, provides an explosive start to the album. The track opens with a build up to an explosion of heavy guitar chords and prominent percussion to create a full sound. Ash Costello’s vocals have a raw edge that compliments the instrumentation, she also displays her ability to soften her vocals. The fourth track on the EP is a cover of Linkin Park’s Crawling, and with the death of Chester Bennington in 2017, this track has even more significance. However, New Years Day have created a cover that displays Linkin Park’s song writing abilities with their own unique sound. The structure of the cover differs from the original as it opens with the vocal line and heavy synth accompaniment. This track is another well selected choice as it suits Ash’s vocals. New Years Day also display their abilities through dynamics in the instrumentation, successfully replicating the heavier, explosive guitar tones in the chorus, and the calmer tone in the verse through synth melodies. The cover of Garbage’s Only Happy When It Rains features Halestorm’s Lzzy Hale. They take the ’90s track and transport it into the realm of heavy metal through the use of powerful chords, percussion and aggressive vocals. The final track on the EP is a cover of No Doubt’s Don’t Speak. This track works well with the use of an opening piano melody instead of the original guitars, which then builds to an explosive, powerfully emotive chorus. New Years Day have fully established their sound with this EP and displayed it through the tracks they have chosen to cover. As well as this release and their tour with In This Moment, New Years Day are working on their next full length album to be released later this year. ‘Diary Of A Creep’ by New Years Day is released on 26th January on Century Media Records.